HUDSON, Mass. -- Where's the best place to hide millions of dollars in cash? In a safe? Buried deep underground? How about the box spring of your mattress? That's where a Brazilian man reportedly hid $20 million that authorities said was related to a massive pyramid scheme. The U.S. Attorney's Office said the suspect, Cleber Rene Rizerio Rocha, flew from Brazil to the US a few days ago to met a person who is a cooperating witness in the pyramid scheme case. Rocha and the witness met at a restaurant in Hudson, Massachusetts. There the witness allegedly gave Rocha a suitcase filled with $2.2 million in bills. Federal agents followed Rocha to an apartment complex in Westborough, Massachusetts, where they arrested him. Later that night the agents searched the apartment and found the cash, packed inside the box spring of a mattress. 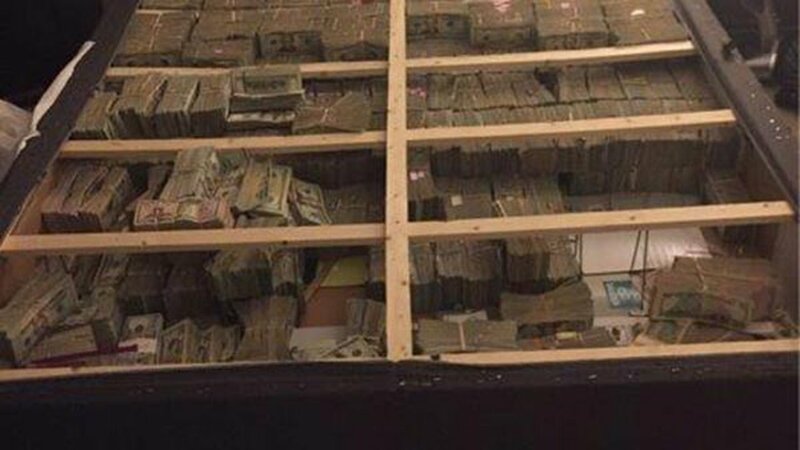 It wasn't immediately clear if the $2.2 million in the suitcase was part of the $20 million found in the box spring. Rocha was charged with one count of conspiring to commit money laundering. The feds say Rocha was acting as a courier for Carlos Wanzeler, one of the founders of TelexFree Inc., a Massachusetts-based Internet phone service company. Federal authorities said TelexFree morphed into a pyramid scheme that defrauded people out of around $1 billion. Wanzeler fled to Brazil in April 2014, the U.S. Attorney's Office said, just a couple of months before he was indicted on charges with co-founder James Merrill. Rocha was in the United States to secure millions of dollars of hidden TelexFree cash and get it to Brazil by laundering the money through Hong Kong, the feds said. Rocha faces up to 20 years in prison on the money laundering charge.